231 Cypress Circle - RENTED | Robinson Investment Company, Inc.
Front door at 231 Cypress Circle. Front door entry: coat closet at left, stairs down to basement and kitchen to the right. Standing at the front door looking into the living room with a fireplace. Living room with brand new carpet. Standing at front door looking into the kitchen. The kitchen has a large window over the sink looking out the front of the house. All of the stainless steel appliances are brand new. The kitchen is large enough for a table and chairs. Standing in the kitchen looking toward the dining room. The door to the right of the refrigerator goes to the garage. Standing in the kitchen looking toward the dining room and living room. Dining room to living room. Slider from dining room goes to the backyard. Master bedroom has 2 bright windows. The master bedroom has double closets. The master bathroom has a full tub. The second bedroom has a large window. Closet in the second bedroom. The third bedroom also has a large window. The closet in the third bedroom. The second bathroom has a full tub. Stairs to the full unfinished basement. Walking trail behind the house accessed by the backyard gate. The Greenway Park Golf Course is a 9-hole, 3-par course. Part of the Greenway Park Golf Course. The tennis courts for the Greenway Park neighborhood. 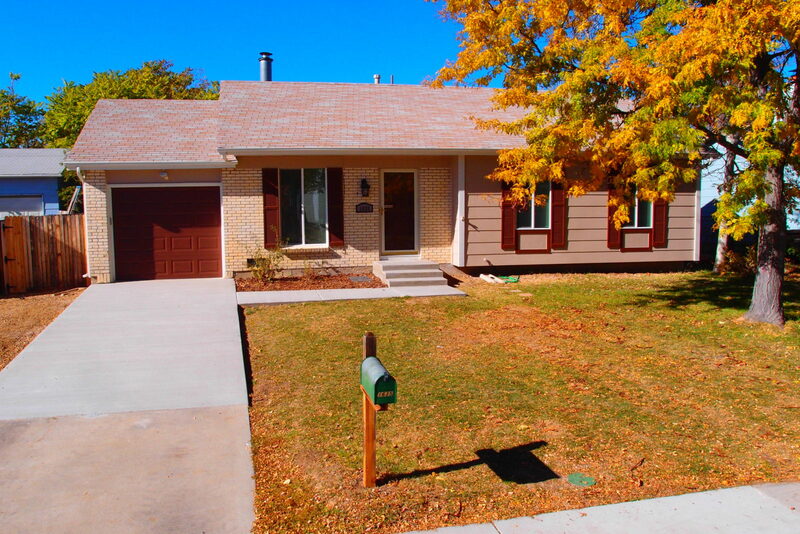 This 3 bedroom 2 bath house is like new on the inside and conveniently located in Greenway Park, a golf course neighborhood which is close to everything in Broomfield! 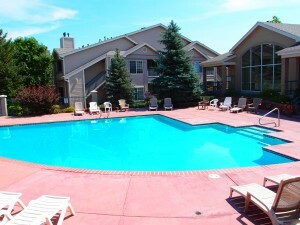 Rent is $1850 per month with an $1850 deposit. Trash service is included with the rent, but you pay all other utilities. One year lease. Sorry, no pets and no smoking. Just about everything in this house is new – from the flooring, the fixtures and the stainless steel appliances to the energy efficient windows, the roof, the gutters and even the interior and exterior paint. At 2,327 square feet, there’s also plenty of room. On the main level, walk in the front door to the kitchen, dining room and living room. The kitchen has enough room for a table and includes a stainless dishwasher, range and side by side refrigerator. The living room has a fireplace and sliding glass door access to the fenced-in backyard. All 3 bedrooms in this house are on the main level, and the master bedroom has a master bathroom with a full tub. The second bathroom also has a full tub. This house also comes with a washer and dryer and all of the windows have blinds. Air conditioning will keep you cool in the summer. And the fireplace and furnace will keep you warm in winter. The basement is huge – the same size as the whole main level – and totally unfinished. The possibilities are endless here. This home also has a one car garage. The Greenway Park community is a rare gem because it features a clubhouse, pool, tennis courts and a 9-hole, 3-par golf course! There’s also an elaborate walking trail system and this house backs right up to one of the trails. Just walk out your back sliding glass door, go through the gate and hop on the trail. This house is near 120th & Sheridan – so it’s close to shopping, the Broomfield Library, the Broomfield Bay and the Broomfield Community Center. And it’s just a short drive to hop onto the Boulder Turnpike. This home is located in the Jefferson County School District. The elementary is Ryan, the middle school is Mandalay and the high school is Standley Lake. 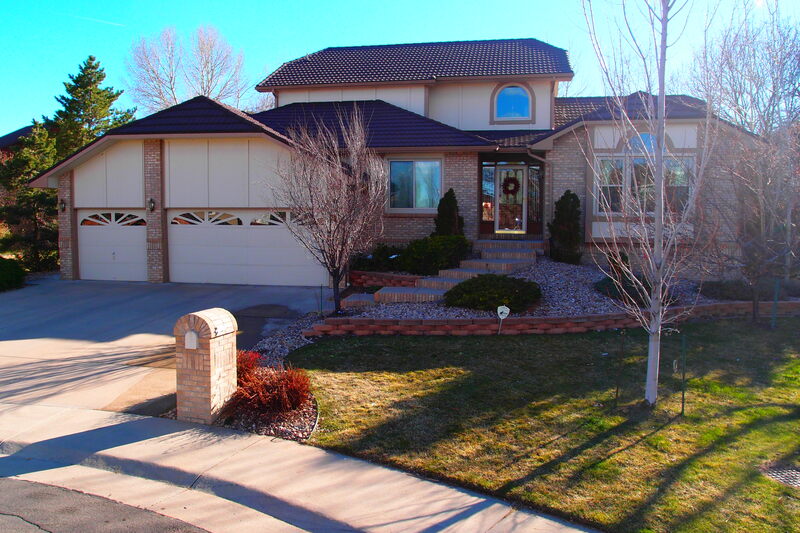 This house is also very close to the charter school, Jefferson Academy, and not far from the Westminster Campus of Front Range Community College. Please note: we do perform a criminal background check and we will require proof of income to qualify for renting this home.